Challenges, even threats, remain in the accountability of supply chains, notably in the apparel industry. Although five years have passed since Bangladesh’s Rana Plaza tragedy, many factories in the region continue to pose life-threatening risks. But the conversation is starting again, more urgent than ever - and so it should be, says Vivek K Singh, a sustainability expert living in India. 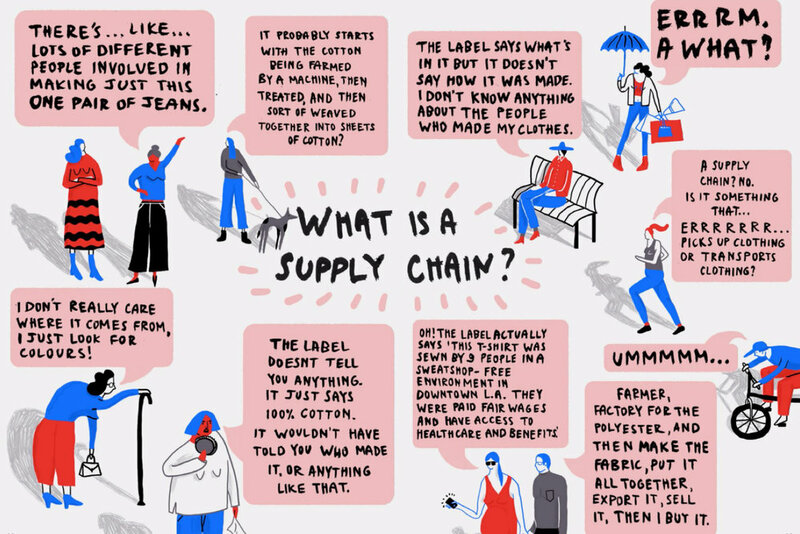 In the first of our five part series on supply chains, Singh looks at exactly what we, both within and outside the industry, should be considering. “In September 2012, a fire in a Pakistani textile factory claimed almost 300 lives and left another 600 people injured. The following November, a similar accident took place in a Bangladeshi garment factory, leaving 112 dead and over 150 injured. As it appeared then, these two incidents were just the tip of the iceberg. In 2014, anti-human trafficking activist Siddharth Kara issued a report (“Tainted Carpets”) that hit the headlines by highlighting the prevalence of child labor in India’s handmade carpet sector. Incidentally, a visit I had paid last year to the city of Trichy (Tiruchirappalli) made me aware that the so-called Sumangali child labor scheme, although officially forbidden, remains widespread in the Indian state of Tamil Nadu. But it is the horrendous tragedy of Rana Plaza in April 2013, which took the lives of 1,135 workers and left another 2,000 injured, that brought the world’s attention to the living conditions and safety of textile workers in the Indian subcontinent, and the cost of fast fashion. Legislative efforts have not led to change because the governments of developing countries, encouraged by international institutions, have put economic growth before adequate environmental and social regulation. Picture: Fairrtrade Foundation. In the era of fast fashion, apparel and textile supply chains are becoming increasingly intricate. [These challenges] are closely related to rapid globalization and fierce competition to grab market shares, achieve high product churn rate and lower operational costs [and they] often incites world textile brands to outsource production to developing countries such as India, China, and Bangladesh. Although national and international laws and conventions have been on the books for over half a century, legislative efforts have not led to change because the governments of developing countries, encouraged by international institutions, have put economic growth before adequate environmental and social regulation. [And] this has incited western brands to avoid responsibility. Social and environmental challenges in Indian factories are nothing new and have always been difficult to detect. This is often because apparel brands have not imposed enough transparency in their production chains - and may not be aware of pressing social, economic and environmental issues, let alone know how to tackle them. Until April 2013, brands were uncertain as to whether they should invest into social accountability programs. However, the negative media attention brought by the Rana Plaza tragedy prompted a sustainability revolution in the apparel and textile sector. This revolution gave rise to various social and environmental initiatives and brought together civil society organizations, governments, international institutions, and brands. [But] these initiatives are still in the nascent phase and require significant investments, an inventive approach and a strong commitment from all stakeholders to find solutions to complex sustainability issues. So, what are the major social and environmental challenges in the textile industry? Most of the time, western brands do not know precisely where the products they purchase are made. Picture: Vivek Singh. Accountability concerns in supply chains originate mainly from a lack of transparency. Most of the time, western brands do not know precisely where the products they purchase are made and how work is organized in outsourced factories, production units and homeworkers communities. They do not know which layers, and how many of them, are involved in their supply chains. Even local brands are kept in the dark. I have found supply chains exporters who were unaware of where their contractors outsourced their production. This lack of transparency increases the risk of ethical misbehaviour, which in turn challenges the enforcement of social accountability codes. Most brands are therefore confronted with labor exploitation risk in their supply chains. Work still to be done. Picture: Fairtrade Foundation. True, the situation seems to be improving if one is to believe various recent reports, but the reality on the ground has not improved. Quite the contrary: working and human rights conditions seem to be deteriorating due to a growing demand and a high product churn rate. When I read the latest Fashion Revolution Transparency report, I was amazed to see that among the apparel and retail brands that made to the top of the list were some whose supply chains in India include hidden outsourced production sites prone to human right violations. In the course of my research, I have found that workers face a myriad of challenges, including extended working hours, child labor, forced and bonded labor, job insecurity, unclear terms and conditions of work, lack of proper skills and education, and even physical and psychological abuse. I have also found children working beside their parents at home - and this in the most reputable brands’ supply chains. Such conditions in supply chains can easily be considered as forced labor. Global brands outsource their production to developing countries, mainly because they seek to lower production costs and maximise profits. As they are not enough concerned for the well-being of their workers, they fail to apply basic health and safety standards in their production units. Many of the deadly accidents that have occurred in the garment supply chain took place because basic health and safety standards were neglected. The primary evidence represented by the Rana Plaza tragedy compelled global apparel and textile brands to take social accountably seriously and enforce social compliance standards to prevent similar tragedies. But did they really resolve the local complex societal and economic issues? Occupational health problems are common amongst workers in the apparel industry. Two years ago, I interviewed a number of homeworkers and suppliers of some well-known international fast fashion and carpet brands. Most of them complained to me that they were suffering from back pain, severe headache, and weak eyesight. 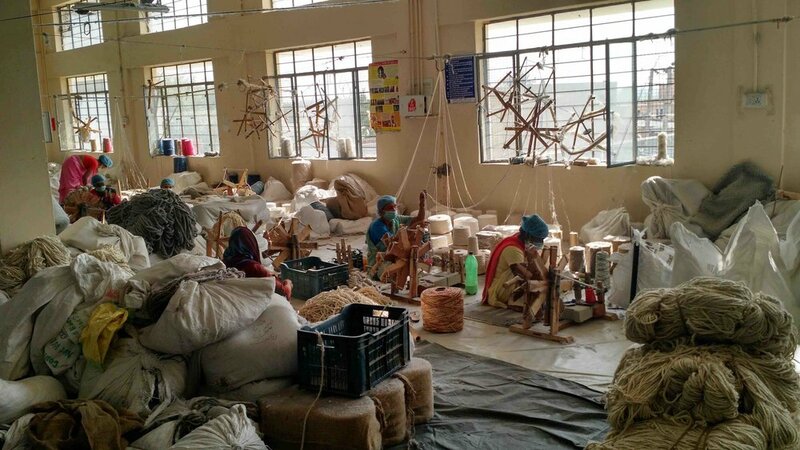 In the Indian city of Panipat, a hub for the international garment industry, I have seen how the use of harmful chemical substances for dying and washing carpets causes severe health issues such as vomiting, tremors, and respiratory diseases. What should be required are other innovative efforts that would involve local actors, who have a better understanding of realities on the ground. Picture: Fairtrade Foundation. The shift in consumer tastes results in excessive production of fabric to meet a never-ending demand. Nowadays, fashion is produced at such low costs that it has become a throwaway product. Due to the volume of solid waste they create, abandoned textile products impact severely on the environment. They create significant waste materials that are not properly disposed of and contribute to aggravating land pollution. At the same time, the textile industry is the world’s second-largest user of water and releases contaminated water, which in turn pollutes drinking water and agricultural water and dramatically reduces the volume of water resources. It takes approximately 2,700 liters of water – that is, the volume of water a person drinks in the course of two and-a-half years – to produce one single cotton shirt, This is a major concern for many developing nations as they [do not have] infinite supplies of groundwater. The textile industry uses various harmful chemicals that are directly responsible for the degradation of the environment. Textile is an ancient and vital industrial sector, which meets fundamental human needs but it remains fraught with various accountability risks. In the wake of Rana Plaza, stakeholders of the textile industry came together in a bid to address these issues and resolve complex societal and economic challenges. However, almost all programs and initiatives run by western companies do not grab the whole complexity of these social aspects.